"Sweet Thing" is a fine example of the exceptionally seaworthy W.I.B. Crealock designed Pacific Seacraft 37. Her double-furling cutter rig, canoe stern and her shoal draft keel make her ready to sail to the islands and beyond in comfort and style. 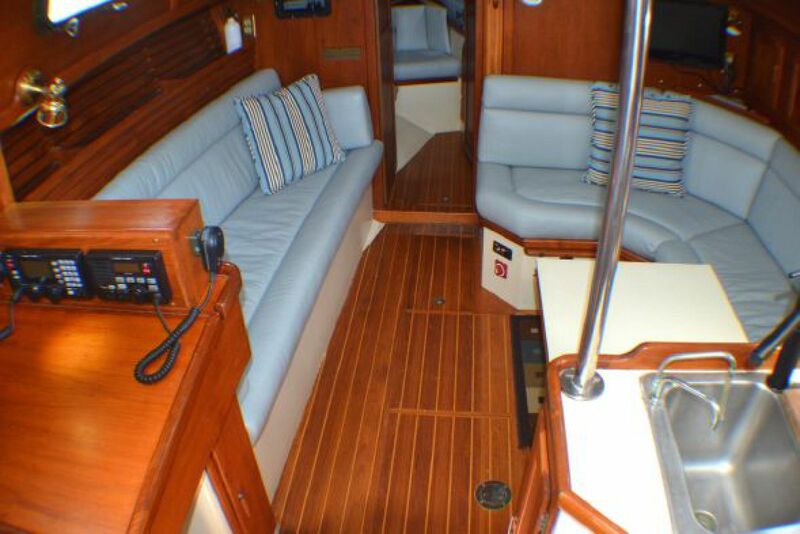 Step aboard "Sweet Thing" and you will immediately be struck by her solid construction and quality materials - from fine teak accents to heavy bronze opening port lights. Her many recent cruising upgrades include a linear auto helm, an offshore wind vane, a water maker, solar panels, heavy duty ground tackle and an electric windlass. She is not only stylish and comfortable, she is fully equipped and ready to go. 4 new Lifelene 80 Amp hour AGM batteries. Rocna 25 kg anchor, 140' 3/8 BBB chain 200' 5/8 braid rope rode. Sanitation hoses replaced and head rebuilt. Although she is built to sail in even the most challenging conditions "Sweet Thing" is remarkably roomy and comfortable below decks. 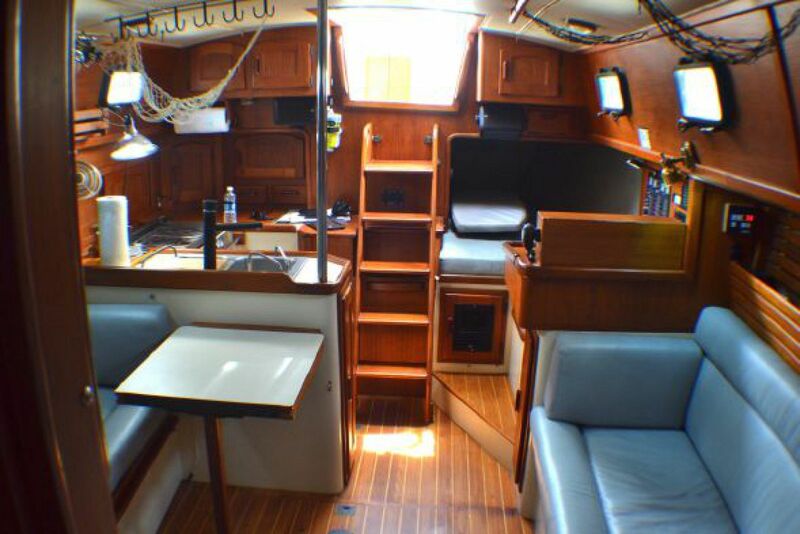 The welcoming companionway leads to a generous U-shaped galley to starboard. 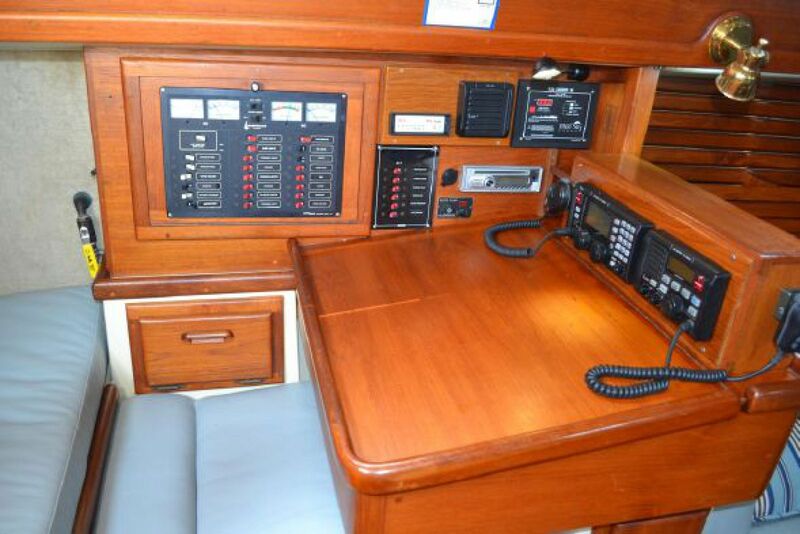 To port, there is a navigation station with upgraded electrical panels and an ample quarter berth. The main salon boasts stunning teak joinery work, six solid bronze opening port lights, a large Bomar hatch, a folding teak dinette table and plush Ultra leather upholstery. 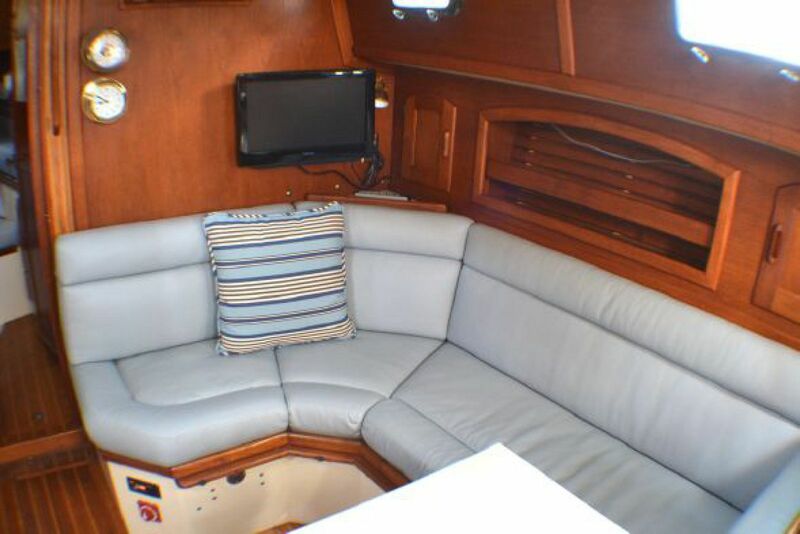 The starboard settee easily converts to a double berth. The head is forward to starboard with two large louvered hanging lockers to port. 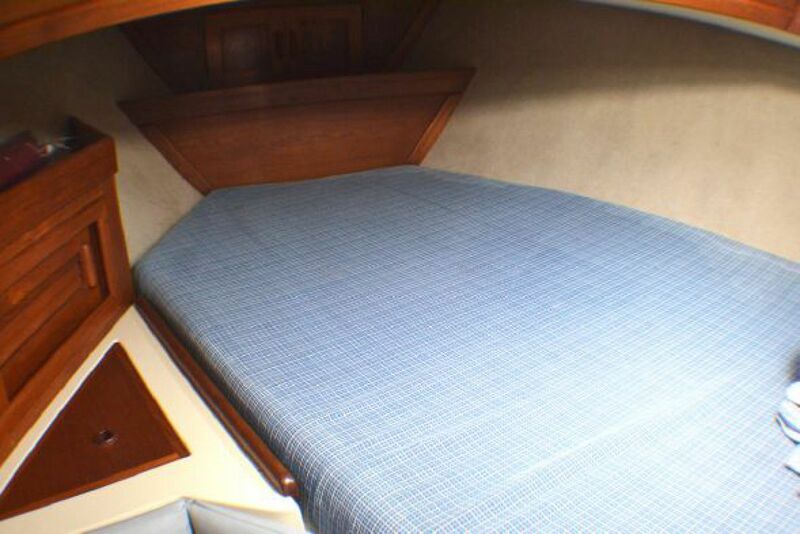 The master stateroom is forward, with a roomy offset double berth and a dressing seat which also serves as easy passage into and out of the berth. 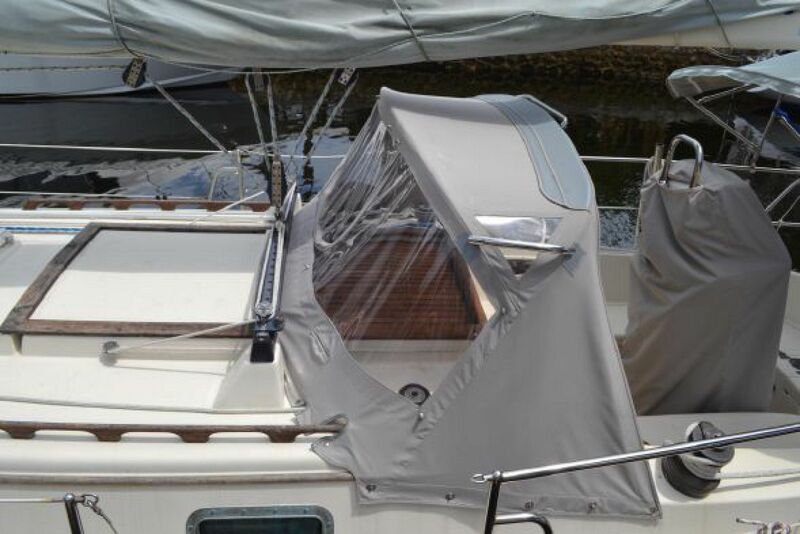 Three large opening ports and a Bomar hatch provide plenty of light and ventilation. The overall feel is that of comfortable quality which is enhanced by the lovely teak and holly sole throughout. The U-Shaped galley to starboard is set-up to please even the most discriminating onboard chef. 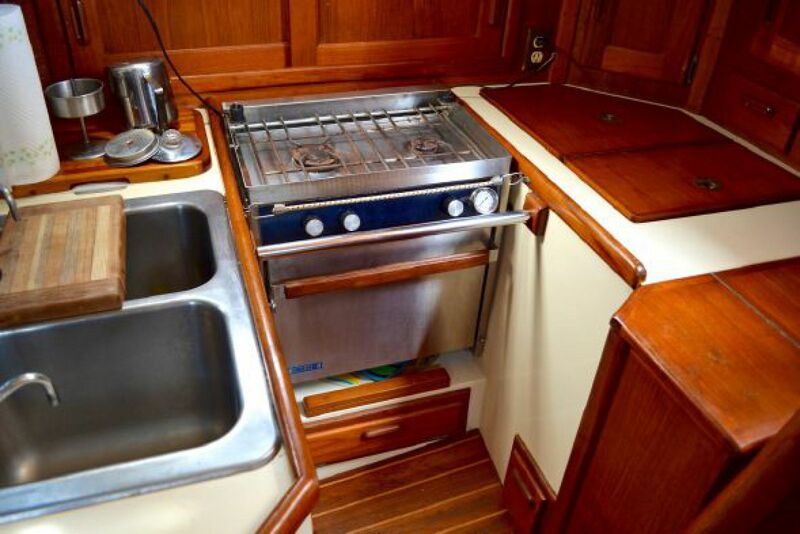 There is a large double stainless sink, a gimballed stainless propane oven and stove, two cutting boards, and is is the case throughout this boat, there is ample storage in lockers accessed by louvered teak doors. 12v refrigeration cools the two-compartment ice box. "Sweet Thing"s 44 HP Yanmar diesel is smooth, quiet and has plenty of power. With the companionway ladder and cover removed the engine access is excellent. A removable hatch cover in the cockpit sole provides excellent access to the top of rear of the engine which is clean and has been consistently professionally maintained. Mainsail, staysail and headsail removed May 2016 and fully inspected / repaired by a sail loft. 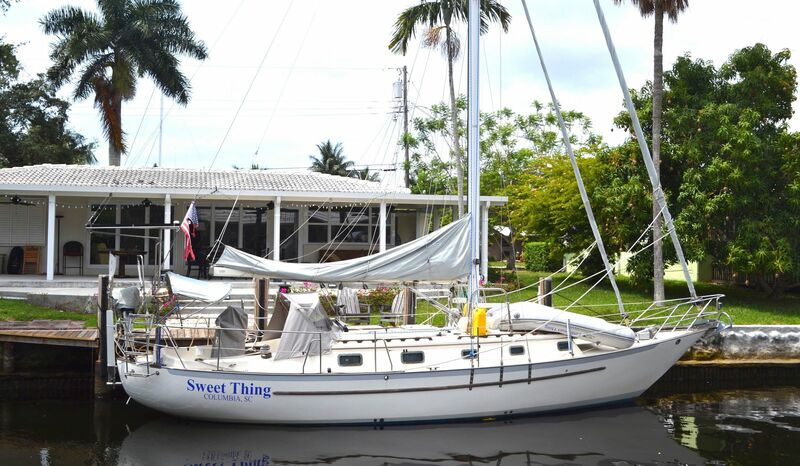 "Sweet Thing" is a heavily built offshore cruiser, with an external solid lead, Scheel keel (shoal draft 4'6"), and skeg hung rudder, solid glass hand laid up hull, cast reinforced Bowmar hatches and solid bronze port lights. Her rudder has large skeg and bronze propeller is in a protected aperture. Hauled in April 2016, new bottom paint, cutlass bearing and prop balanced. "Sweet Thing" is a beautiful example of the Pacific Seacraft 37 that has been afforded excellent care and numerous upgrades. 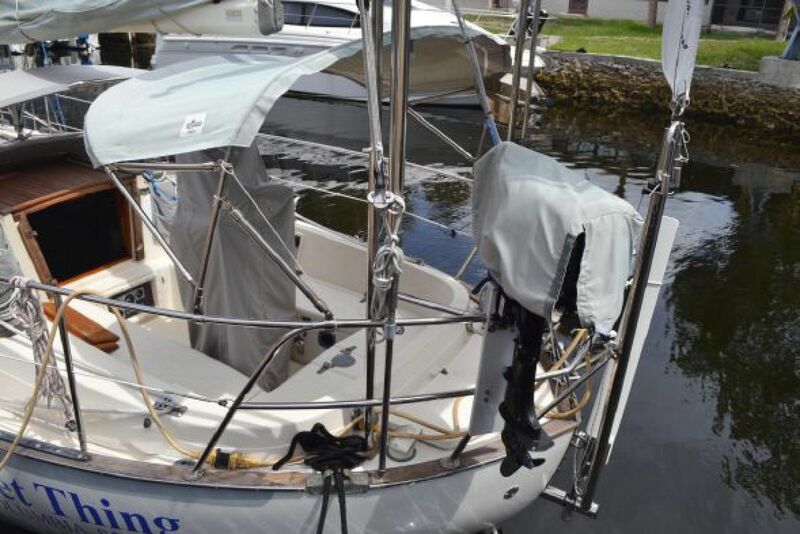 All original documents and manuals including original factory equipment and dealer installed options list have been maintained with the vessel. She is seriously for sale and is definitely one of the nicest 37's on the market in turn-key cruise ready condition awaiting her new owners.